Earlier today Mozilla acquiesced to a market reality which ebook retailers have known for years. Ask anyone who has tried to launch an ebookstore and they'll tell you that the only way to get titles from major publishers is to integrate DRM into the ebookstore - often times at high cost. Many publishers simply won't distribute to an ebookstore that lacks DRM, with some even going so far as to question the security of new types of DRM (like the custom DRM used by Oyster). Similarly, the only way for a browser maker to support commercially streamed video is to enable support for DRM. In the past that meant indirectly supporting DRM via Flash and Silverlight, but in the future streaming DRM is going to have to be built in to the web browsers. And so today, in a long and meandering blog post, Mozilla announced that they would be integrating DRM into the next version of Firefox. They will be using closed-source code, but to add an extra layer of protection they will wrap that code in open source code. Ostensibly this change is going to make it easy for end users, but it also puts web browser makers between a rock and a hard place. Either they integrate the new DRM, or they lose relevance. We very much want to see a different system. Unfortunately, Mozilla alone cannot change the industry on DRM at this point. In the past Firefox has changed the industry, and we intend to do so again. Today, however, we cannot cause the change we want regarding DRM. The other major browser vendors — Google, Microsoft and Apple — have already implemented the new system. In addition, the old system will be retired shortly. As a result, the new implementation of DRM will soon become the only way browsers can provide access to DRM-controlled content. There's no definite timeline for crippling Firefox with the new DRM, but they did say that it is coming. It will be first be tested in developer builds, before it is inflicted upon users. 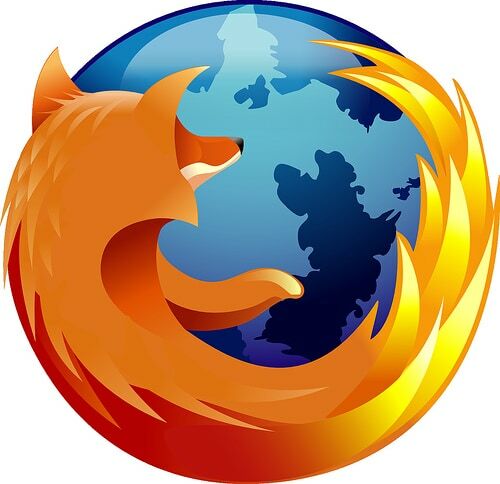 Mozilla plans to have the DRM disabled by default, requiring a user to enable it before watching a streaming video, but it will be present in future Windows, OSX, and Linux versions of the Firefox web browser. There's no mention of Android, which is unfortunate. As we know from trying to get Amazon Instant Video working on the platform, Flash support on Android is spotty at best, and Silverlight is not supported at all. This is part of the reason why so many streaming video services have deployed their own app. So, the DRM module is going to be open source? Hmmm….. Sadly, no. The closed source code will be wrapped in an open source shell, though, giving everyone more control. I use Fedora, where any closed-source binaries like that, are left out. This means, mp3 support, most of movie codecs, even video drivers that are closed source have to be installed from a different source. As far as I’m concerned, Firefox is done. At some point, the un-encrypted content is going to be given to the open source section of the code, for display, etc. Or is Firefox no longer open source? If you’re asking about hacking the DRM , that will probably happen, yes. The current streaming DRM (Flash and Silverlight) is thoroughly hacked. Netflix exclusive shows like House of Cards are available in the darkweb. However, past solutions got circumvented sooner or later. Content providers concerned about compatibility issues or that certain users might boycott their services entirely might also decide not to use DRM technologies, which might have their own costs anyway.